JAKARTA, 28 September 2016 ? The ASEAN Commission on the Promotion and Protection of the Rights of Women and Children (ACWC) launched the Regional Review on Laws, Policies and Practices within ASEAN related to the identification, management and treatment of victims of trafficking especially women and children today. 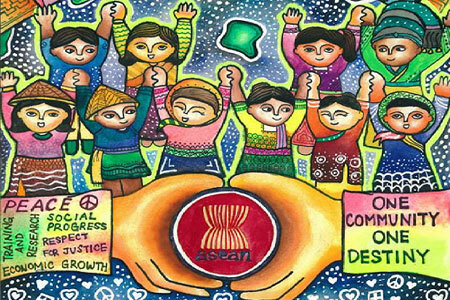 The Regional Review aims to support the implementation of the ASEAN Convention against Trafficking in Persons Especially Women and Children which was signed by the Heads of States at the 27th ASEAN Summit in November 2015. 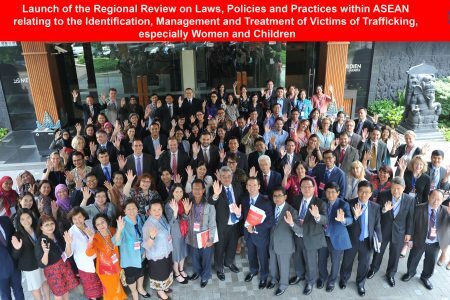 The Regional Review provides an accurate and up-to-date assessment of the current situations, good practices, and issues for consideration, as well as presenting recommendations for improvement in responses to victims of trafficking. A number of AMS remain vulnerable to natural disasters, which tend to disproportionately adversely affect the poor and the near poor or low income populace. Pollution and resource degradation are also increasingly serious problems in a number of MSs. ASEAN is also among the most highly vulnerable regions to climate change and will need to find solutions to adapt to climate change in building a resilient ASEAN. International Womens Day observed globally on 8 March celebrates the achievements of women in all walks of life. The Regional Workshop on the Promoting the Right to Nationality for Women and Children in the implementation of CEDAW and CRC in ASEAN held jointly by the ASEAN Commission on the Promotion and Protection of the Rights of Women and Children (ACWC), Ministry of Labour, Invalids and Social Affairs of Viet Nam (MOLISA), United Nations High Commissioner for Refugees (UNHCR) and United Nations Entity for Gender Equality and the Empowerment of Women (UN Women) on 19 August 2013 in Da Nang City, Viet Nam recommend the following concrete actions to promote the right to a nationality of women and children in ASEAN Member States for the consideration of the relevant ASEAN bodies. The ASEAN Commission on the Promotion and Protection of the Rights of Women and Children (ACWC) Expert Meeting brought together the ACWC Representatives and experts on economics, social and cultural rights, as well as on womens human rights to develop a study framework on womens economic rights to land and property ownership in ten ASEAN Member States. Upon the invitation of the European Union (EU), the ASEAN Commission on the Promotion and Protection of the Rights of Women and Children (ACWC) visited the headquarters of the European Union in Brussels on 18-22 February 2013 to exchange experience in promoting and protecting womens and childrens rights in Europe and Southeast Asia and to explore cooperation in areas of mutual interest. The visit also allowed ACWC Representatives to better understand EU institutions, mechanisms, instruments and policy priorities on a broad spectrum of issues relating to womens and childrens rights. 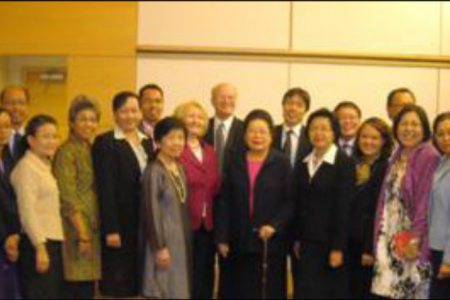 A study visit to the United States from 18-25 April 2012 was concluded by the ASEAN Commission on the Promotion and Protection of the Rights of Women and Children with the support of the ASEAN-U.S. 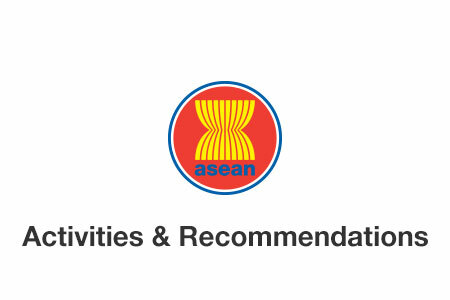 The ASEAN Commission on the Promotion and Protection of the Rights of Women and Children (ACWC) convened a dialogue with forty national and regional civil society organisations in the ASEAN region in Manila, the Philippines, on 18 January 2012.